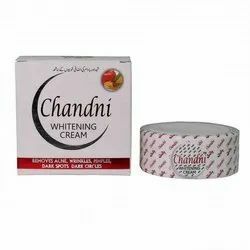 Karimi's - Wholesaler of chandni whitening cream, kmes black mask 100ml & gluta-c intense papaya whitening & fairness soap (made in philippines) (135 g) in Mumbai, Maharashtra. Safety Information:✅ Keep Follow The Package Instructions. ✅ All items are being inspected for quality checking prior to shipment. ✅If you have received defective items, please return within 7 days from the date you received the items. Please contact us before you return. ✅We will offer refund of the item price after we receive the defective item. ✅All returned items MUST BE in the original packaging and you MUST PROVIDE us with the shipping tracking number, specific reason for the return. ✅We maintain high standards of excellence and strive for 100% customer satisfaction! Feedback is very important for us. We highly appreciate that you can contact us immediately via Message BEFORE you leaving neutral or negative feedback. We will offer help to resolve your problem as fast as possible. 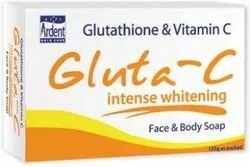 Gluta-C Intense Whitening Face & Body Soap Intense Whitening Gluta-C Intense Whitening Soap is a gentle yet deep cleansing soap that not only cleans but also effectively whitens and moisturizes the skin with the powerful combination of antioxidants, Glutathione, and Vitamin C. Glutathione reverses the production of melanin, which causes dark spots, uneven skin tone and blemishes. Vitamin C helps improve the skinâs appearance and promotes a healthier, whiter complexion. Glycostech Quick and effective penetration of the skin using French patented technology. Gluta-C soap is quickly absorbed by the skin and continues to work at a deeper level even after rinsing off. Other Product Benefits Deep yet gentle cleansing Anti-bacterial Gluta-C Intensive Whitening Soap leaves your skin clean, healthy, beautiful and smelling fresh all day. "Net Contains : 135g Papaya and kojic acid combined to lighten darker skin with regular use. A soft pliable soap bar from Asia offering mild acids, papaya enzymes and an ability to fade dark blemishes with regular use. 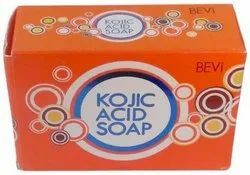 Kojic acid soap is mainly an exfoliating skin item that gradually removes pigmentation and dark spots by buffing away the ruined skin cells. The papaya enzymes in Kojic acid soaps assist to break down the leading layer of skin cells and strip away ruined skin, exposing the fresh and healthy cells beneath. This soap can be used as a regular bath soap all over the body, as a shaving foam for the face and neck, or merely on the face to even out the skin tone. How does kojic acid works? A fungal metabolic product, kojic acid inhibits the catecholase activity of tyrosinase, which is the rate-limiting, essential enzyme in the biosynthesis of the skin pigment melanin. Indeed, it has been shown to significantly enhance neutrophil phagocytosis and lymphocyte proliferation stimulated by phytohemagglutinin. Melanocytes treated with kojic acid become nondendritic, with a decreased melanin content. Additionally, it scavenges reactive oxygen species released excessively from cells or generated in tissue or blood. Benefits: * Contains anti-oxidants and other skin whitening agents. * Provides fairer, good looking and healthy skin. * 100% natural ingredients. No side effects * Improves skin texture and skin tone * Corrects skin discolorations * Lightens/whitens the skin's color. * Suits Almost Every Skin Types * Get intense glowing skin in 2 weeks. Direction for Use: Apply the soap on wet skin softly massage soap throughout your whole skin especially on the most affected parts. Don’t rub the soap harshly. Avoid the soap entering into eyes, nose or mouth. Keep the soap on your skin for at least 60 seconds than wash it off. If you feel itching on any part of your skin the stop the usage of soap. 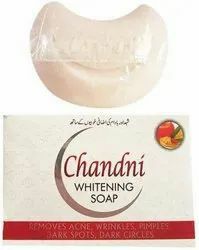 Use with kojie san toner and Belo or Kojie san cream For best Results "
Chandni Whitening Soap: Net Weight - 100gm, Product Description: Chandni Whitening Soap is a effective to Removes Acne, Wrinkles, Pimples, Dark Spots and Dark Circles. 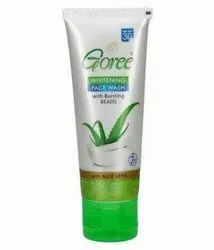 It can cleanses skin and helps eliminates pimples, skin pigmentation, white heads and black heads, also It keeps throughout the day which gives instant freshness and relaxation. *Used for: Face and Body Wash, *Gender: Men and Women, *Skin Type: Normal Skin and All Type Skin, *Original Product – Imported from Dubai. 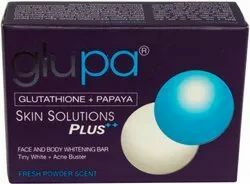 Glupa Glutathione + Papaya Skin Solution Plus Skin Whitening Soap: Description: Glupa Glutathione Papaya Skin Solutions Plus Face and Body Whitening Bar 135g Tiny white and acne buster. Want to have white skin without acne and excess oil? Finally, the breakthrough product, Glupa, with the two of the most proven effective skin whitener, Glutathione and Papaya, is now formulated with the international award winning Acne Buster from Japan! Glupa Skin Solutions PLUS gives you the kind of white that you want with the added benefit of oil control and acne busting power, without drying your skin, Has tiny white complex with Vitamins C and E and Acne busters, consists of 8 botanical actives developed according to the perfect treatment of acne and oily skin. 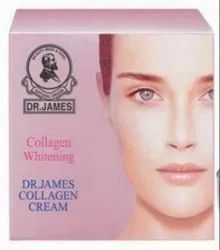 This collagen whitening cream is 100 percent natural and herbal. Keeps your face softer, brighter and whiter. More youthful and radiant complexion. UV protection as foundation. 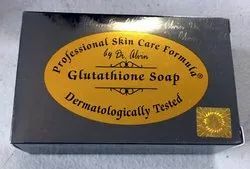 GLUPA (GLUTATHIONE + PAPAYA) SOAP Finally the two most powerful antioxidants and skin whitening agents have come together in one breakthrough product, GLUPA. That's one powerful combination, giving you anti aging and skin whitening results like never before. It takes two to have a healthy, beautiful, young and white skin. Glutathione and papaya. That combination is riht here. It has tiny white complex with Vitamin C and E maximum whitening effect and smoother, softer and younger looking skin. Ingredients - Sodium Cocoate and sodium palmate, Auaq, Arbutin, Vitis Vinifera, Grape seed extract, Lecithin, Linoleic acid,Glutathione, Hydrogenated Caster oil, Glycerin, Papaya Enzymes, Parfum, Reduced L-glutathione, CL 26100 and CL 15510. Details about the package: 1 Bar of Diana Stalder, Net weight - 135 gms. NOTE: Keep In Mind That Regardless Of Which Skincare Product You Try, You Have To Give It At Least Six Weeks Before Giving Up. Skin Whitening / Lightening Is Not An Instant Process. As Long As You Consistently Use The Product As Directed And Stay Away From Sunlight, Then You Should See Results In The First Two Weeks. 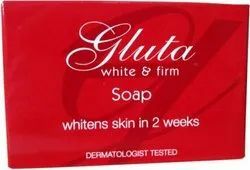 Gluta White And Firm Soap - 90gm: Formulated and developed by dermatologists, Gluta Advance White & Firm Soap offers the combined beauty and health giving benefits of Glutathione, L-Carnithine and Lipofirm---working in synergy to visibly lighten skin tone and progressively retexturize skin for a fairer, firmer, well-toned look. 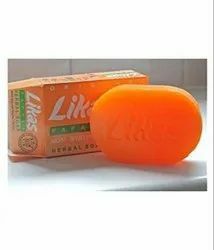 Direction for Use: Wet skin, gently massage soap on the skin, DO NOT RUB, avoid getting into eyes, nose or mouth. Let it sit for just a few seconds (First time user: just wash regularly). Then rinse thoroughly with cold water, leaving residue will cause skin to itch and feeling sore. IMPORTANT: Apply moisturizer generously after, all skin whitening soaps tends to dry the skin as part of the exfoliation process. Sun block is A MUST. A Special Formula of Natural and herbal extracts that is light & easily absorbed by the skin. There are numerous promising skin lighting up creams available today that can be utilized to make skin seem brighter and more energetic. 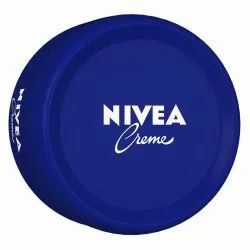 In the meantime, it is essential to painstakingly consider the guaranteed advantages of any skin brightener in the light of that creamâs particular fixings. 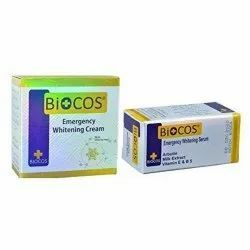 A quality product Biocos emergency whitening cream ought to be figured from exacerbates that show guarantee in helping skin tone, a capacity that may likewise incorporate decreasing the conspicuousness of spots and other dull spots. Biocos whitening cream is a technologically advanced tipple action formulation that contains rare and uncommon fruit and plant extracts to penetrate deep in to the skin, the result is new, fresh, illuminated, enlightened, radiant fair skin. Biocos Emergency Whitening cream additionally contains sunscreens to Protect the skin from harmful UVA & UVB rays that can darken the skin. Biocos whitening cream is improved with Grape, Mulberry, Saxifraga concentrates and Milk extracts that are known, reasonableness agents. A progressive recipe that mixes the advantages of whitening cream. How to use? Use at night all over face and neck after washing thoroughly with Biocos emergency whitening soap. For Synergic impact, Use in conjunction with Biocos emergency whitening serum for Intensive Skin Whitening and Brightening. 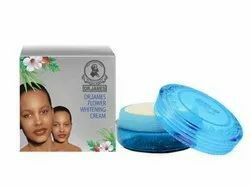 Stillman's Skin Bleach Cream is a proven fairness formula which bleaches and whitens the skin making you look more fresh and youthful. 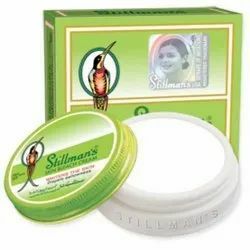 Stillman's Cream has helped over millions of users attain charming and fair complexion over 100 years. A few application gives you the good looks that you have always wanted with a complexion that is admirably youthful, radiant and fair. DIRECTON FOR USE (For external use only) Apply a very small portion of the cream when retiring at night. Do not rub in just pat it on the surface. Wash it off in the morning with a mild soap. Continue using Stillman's Skin Bleach Cream, until the desired charming complexion is attained. 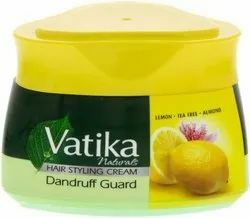 If any irritation occurs apply every alternate night for the first week, then use every night. After attaining the desired complexion, it is recommended to use the cream occasionally to retain charming and radiant complexion. Ingredients: sodium palmitate, sodium pal kernelate, fragrance, salycylic acid, glycerin, mineral oil, carica papaya enzyme, alpha tocopheryl acetate, cl 47000. 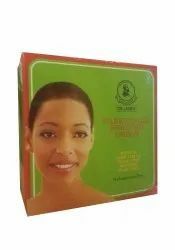 Goree Whitening Beauty Original Soap With Lycopene. This latest and advanced formulation create miracle in keeping your skin healthy throughout the day long. It maintains the balance of skin moisture. Additional whitening agent along with moisturizing vitamins leaves your skin glowing and helps in skin whitening. Ingredients: Sodium palmitate, sodium palm kernelate, fragrance, optical brightener, glycerol, pea extract, titanium dioxide. Direction for use: Make lather of soap with water, apply on your face 45 seconds avoid contact with eyes. Rinse with water. Dry with tissue or clean towel. Net weight: 100gm. Works with your skin's own repair system to undo damage caused by pollutants and other environmental factors during the day. Strengthens skin's natural defense,promotes skin tissue regeneration. Restores firmness to your skin. Can be used for reducing spots and pigmentation. 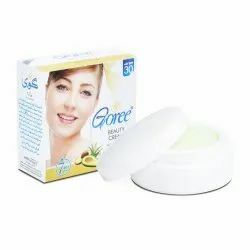 Goree whitening cream is the only cream that cleans pimples, wrinkles, marks, hives even dark circle. 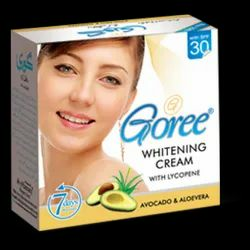 Goree whitening cream cream is perfect for all types of climate, even in extremities of the same. It removes the prominent pimples, gloom and other acne problems. Faiza whitening soap: net weight - 90gm, product description: Faiza whitening soap contains natural ingredients, a unique formulation that makes you fairer naturally, for best results lather the soap for 2 minutes on face and body and rinse off. 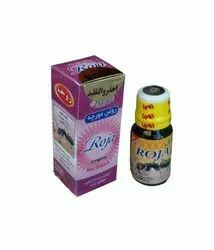 It also removes blemishes, brown freckles and black spots to give you a clear and glowing complexion also it remove pimpeles, frackles and spots refines your beauty and beautiful face. 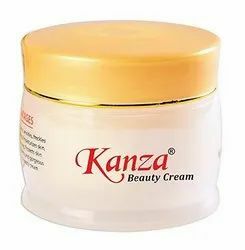 Kanza beauty cream removes dark circles, acne, wrinkles, freckles and other signs of ageing. It moisturizes skin, makes skin soft and young. Protects skin against sun rays, look pretty and gorgeous than ever with Kanza beauty cream. feature: acne treatment, anti-aging, dark circles, lightening, skin revitalizer, whitening Kanza beauty cream removes dark circles, sun block. Acne, wrinkles, freckles and other signs of ageing. Kanza beauty cream works because it helps to neutralize the discolouration caused by the overproduction of melanin in the skin, also known as excessive pigmentation. Using Kanza beauty cream, a natural product, as opposed to potentially damaging chemicals, can help lessen the effects of many skin conditions. It might take few days of regular application before there are visible changes on your skin. 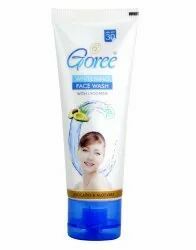 Goree Whitening Face Wash (Made In Pakistan) leaves the skin soft and supple and nourishes it from within. 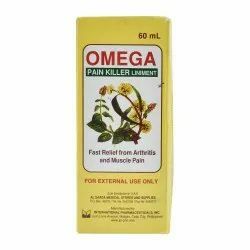 Omega Pain Killer Liniment - 60Ml. Only For External Use. Type: Pain Killer. It Gives Fast Relief From Pain , It Is Skin Friendly , Pain Killer Liniment Oil . 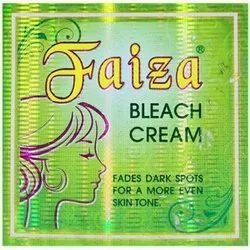 Faiza Bleach Cream fades darks spots for a more even skin tone. Faiza Bleach Cream effectively lightens darkened skins areas and helps moisturizes and conditions your skin, leaving it soft, smooth and more radiant. Faiza Bleach Cream now the true secret of changing dull, uneven and wheatish complexion into bright, even toned and fair skin. Go ahead and try this legendary product that has over many years fulfilled the desire for fair skin of millions of users. Renew Glutathione Silky Soft Hand & Body Lotion 100ml: Renew Glutathione Lotion has a unique formulation that helps renew damaged skin tissues & fade away skin blemishes. Blended with finest moisturizers & skin conditioners it instantly relieves dry & scaly skin. Leaving it soft and supple. It has a balanced pH which corresponds to natural skin needs. It Penetrates Deep Into The Dermal Layers And Has A Soothing Effect On Under Cells. It Is Highly Useful For General Body Massage And Pain Relief In Several Parts Of The Body Except Head. It Is A Strong Anti-Inflammatory Oil. It Helps In Improving The Movements Of Bone And Muscles. 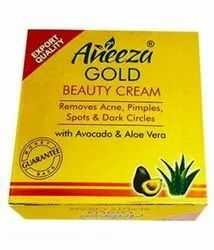 Aneeza Gold Beauty Cream For Pimple Acne And Sportblemish Free Skin Unbeliveable Result Just In 5 Days Use Only In Night After Washing Face. 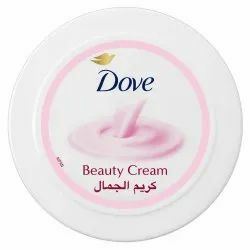 The Dove Beauty Cream Is A Moisturizing Cream Produced By Hindustan Unilever Limited. 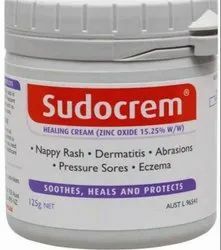 The Cream Is Especially For Dry Skin. It Works On Dry Skin And Makes It Smoother. Further It Provides A Pleasant Fragrance Also. It Is Very Soft To Touch And Apply. The Cream Provides Brightness, Effectiveness And Freshness Product Name: Dove Beauty Cream 75 Ml Model Number: Ffc001 Product Type: Beauty Cream Quantity: 75 Ml Ingredients: Water,Stearic Acid,Sorbitol,Mineral Oil,Glyceryl Stearate,Aluminium Starch, Octenylsuccinate,Caprylic, Triglyceride, Petrolactum ,Theobroma Cocao, Seed Butter, Silicon, Dimethicon, Cetyl Alcohol, Magnesium Aluminium Silicate,Carbomer, Pottassium Hydroxide, Disodium Edta, Perfume,Phenoxy Ethanol, Methyl Paraben,Propyl Baraben,Linalool Cons: Comes In Big Tub And Not In Tube Therefore You Have To Wash Your Hand Before Putting Your Finger Into It. In Summer It Will Be Greasy How To Use Apply The Cream After The Bath On The Face. For External Use Only Keep Away From Babies It Helps The Skin From Sun Burning And Dark Skin Color And Makes Your Skin Shiny And Smooth. Golden pearl beauty cream is the only cream that clear pimples, wrinkles, marks, hives even shadows under the eyes and turns your skin white. Golden pearl beauty cream makes you so much looking gorgeous that you won't believe. 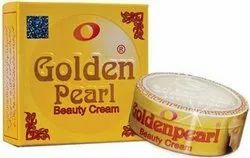 Although the golden pearl beauty cream is the best skin whitening cream formulation, yet we are in a process to make it even better by way of collecting precious herbs and extracting their ingredients and then treating and developing them in a highly sophisticated plant under the staunch supervision of the experts in research and development department. Golden pearl beauty cream is equally good in all types of climatic conditions, even in the extremities of the same. 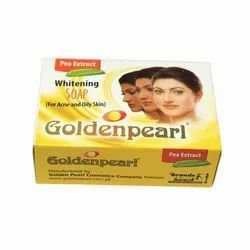 Golden pearl beauty cream removes the prominent pimples, cysts, gloom and other acne problems. It protects the face from the after effects of the sunlight, harsh and allergic conditions following regular make up. Rapidly and amazingly it makes the skin soft, tender and glowing. Regular use of the golden pearl beauty cream clears the burns and cut marks. Net weight: 28 g.
Zinc oxide Ph .Eur. 15.25 %, Benzyl Alcohol B.P. 0.39 %, Benzyl Benzoate B.P. 1.01%, Benzyl Cinnamate 0.15%, Lanoline(Hypo Allergenic) 4%(W/W).Also contains: Purified Water, Liquid Paraffin, Paraffin wax, Beeswax, Microcrystalline wax, Sodium Benzoate, Linalyl Acetate, Propylene Glycol, Citric Acid, Butylated Hydroxyanisole, Sorbitan Sesquioleate, Lavender fragrance. Features Remove dark spot and acne scar. UV protection as the foundation. Keep your face brighter and whiter. Categories Remove dark spot and acne scar. UV protection as the foundation. Keep your face brighter and whiter. Remove dark spot and acne scar. UV protection as the foundation. Keep your face brighter and whiter. Spot the control and defense of wrinkles. Remove dark spot acne and scar. UV Protection as foundation. Keep your face brighter and whiter. Spot Control & Wrinkle Defense. Dr. James products are considered peace of mind and health of nature. Dr. James products known all over the world, especially young women love it. It’s a good skin care brand while its most selling product is Dr.James Acne Melasma Cream that provides UV protection as foundation apply day and night and keep your face whiter and brighter. Silka - Whitening Papaya Lotion & SPF 6 Experience the richness of Silka Papaya Lotion. Its new improved formulation helps whiten and maintain that fairer, youthful glow on your skin. Pamper your skin with the richness of Papaya Whitening Lotion. It contains natural papaya extract that lifts off dead skin cells for clearer, younger-looking complexion, blended with Lipid Layer Enhancer to protect your skin from environmental hazards. Enriched with Vitamin E for improved softness, smoothness and resiliency. Contains sunscreen to protect against damaging effects of UV rays. 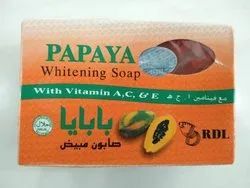 A skin whitening soap specially formulated with papaya extracts that conditions and moisturizes the skin. glowingly refreshes and smoothens all kind of skin. Experience a total skin care with new improved RDL Papaya Whitening Soap. It contains papaya extract and enriched with vitamins (A, C & E) to reveal a smoother younger looking skin. This is Golden pearl whitening soap. Perfect for acne and oily skin. 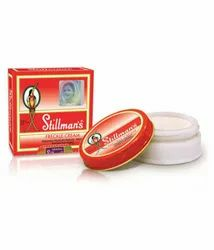 Stillman's Freckle cream for a clear, spotless face For external use only when retiring at night, apply Stillman's Freckle Cream on your face. Wash off in the morning with a mild soap. 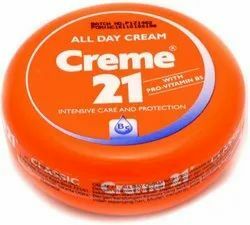 Continue using the cream until the freckles disappear entirely. Stillman's Freckle Cream is equally effective for blotches,sallowness, tan and spots. Benefits: • Freckle/spots removal • Retains moisture of skin • Reduce fine lines on skin • Preventing aging • Avoiding formation of wrinkles • Elasticity of the skin • Skin lightening • 100% Safe to use Ingredients: Ingredients are correct at time of publishing. However, always check the product packaging. Mineral Oil, Petrolatum, Cerifera Wax, Lanolln, Zinc Oxide, Acetate, Polyoxyethylene Sorbitan, Dioxide, Geraniol, Parfum, Methylparaben, Ethylparaben Net weight: 28gm. 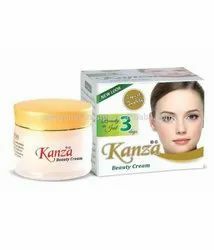 KANZA BEAUTY CREAM removes dark circles, acne, wrinkles, freckles and other signs of ageing. It moisturizes skin, makes skin soft and young. Protects skin against sun rays, look pretty and gorgeous than ever with Kanza Beauty cream. • Feature: Acne Treatment, Anti-Aging, Dark Circles, Lightening, Skin Revitalizer, Whitening • Kanza Beauty Cream removes Dark Circles, Sun Block. Acne, Wrinkles, Freckles and other signs of Ageing. • Kanza Beauty cream works because it helps to neutralize the discolouration caused by the overproduction of melanin in the skin, also known as excessive pigmentation. Using Kanza Beauty cream, a natural product, as opposed to potentially damaging chemicals, can help lessen the effects of many skin conditions. It might take Few days of regular application before there are visible changes on your skin . 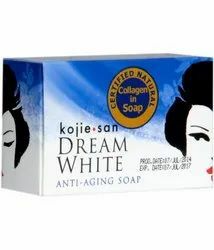 Dream White soap brightens the skin while reducing the appearance of signs of aging. It contains collagen and elastin, the substances in the skin that contribute toward a youthful appearance. This soap replaces the stores of those enzymes that have been lost over time or destroyed by exposure to the elements. 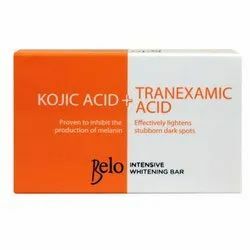 All-natural kojic acid reveals a bright, light skin tone. All of these powerful yet safe ingredients are delivered to the skin in a moisturizing blend of coconut oil and olive extracts. Colour your grey hair by targeting it using this pack of black hair colour from the storehouse of Wella Hair Color. This vitamin enriched colour is free from non drip formula that replaces grey part with subtle tones to match your natural hair colour. An excellent array of creme gel colours formulated to be completely interminable to create any shade desired with predictable natural looking results. Works by elevating skin clarity and brightness. Advanced Repair Body Lotion can moisturize and repair stubborn dry skin. 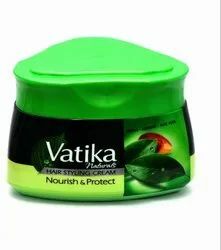 "Dabur Vatika Naturals Nourish & Protect Cream (Henna, Almond, Aloe Vera) 140g Product Description: Vatika Nourish and Protect Hair Cream with the goodness of Henna, Almond and Aloevera is specially formulated for undernourished, dry and weak hair Henna Along with other ingredients coats and conditions hair giving intense shine. Almond Helps to nourish and strengthen hair leaving a silky soft feel. Aloe Vera Helps retain essential moisture. 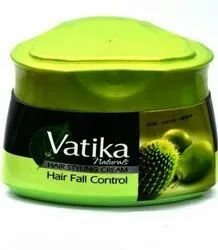 Directions: For best results use BEFORE and AFTER hair wash. Before Shampooing, massage cream into the hair from root to tip. Leave for 15 minutes for deep nourishment. Wash hair as usual. AFTER WASH apply small amount to damp hair for all day protection, shine and to facilitate styling. Weight: 140g."